Robert Hajnal, msg Apuseni Marathon ambassador is a mountaineer with a clear vision in life. He loves books, cooking and running – a passion he discovered 6 years ago. He dares to see possibilities where others see the impossible and to follow his dream of competing with the best ultra runners at Ultra Trail World Tour. He loves trail running because at this discipline it is the smartest who win, those who find their personal rhythm and make a strategy out of it. Winner of all ultra-trail races in Romania and UTMB vice-champion in 2018, the most prestigious ultra trail race in the world, Robert Hajnal inspires us with the discipline he follows his objectives and wins our respect with his modesty. We invited him to talk about running as a lifestyle, challenges and future plans. How did your runner story start? Did running choose you or did you choose running? When I was a child, running chose me, and in time, I chose running. I grew up as a kid in a neighborhood in Petrila, called “August 6th” , which was very close to the court of the primary school. I was a very active kid and after finishing classes I did sports together with older kids, from secondary classes. We played all sorts of games, outdoor as well as indoor. Push ups, swimming, football, basketball. More so we chased each other around the buildings while playing games with the other kids in the neighborhood. Next, I started football at a club, Jiul Petrosani, where I would cycle to almost daily. Eight kilometers each way plus the training itself. That proved to be useful because during matches I did most of the running on the field. And that meant more occasions to score. Had there been a running club there, I would have for sure went there as well. Next came the Military Academy where I discovered the almost daily run from 6:00 to 6:30 am, and this is how I started loving running and competing at mountain running events through all the mountain ranges of Romania. I have fully dedicated myself to one sport: long distance running. Still, I train indoor, I do spinning, and for recovery, I swim. How does a normal day look like for you? How much time do you dedicate to running? The first thing I think about when I open my eyes is “what will my training be today”? On average I train approximately 2 hours a day. Some days more, some days less, depending on what I train for. I try to wake up early, around 7 am, but at the same time to get enough sleep. I do yoga/ stretching for 10 minutes and then I have breakfast. After eating I know for sure that I am ready for the first training of the day, at around 9-10 am. Sometimes I cook lunch or if I’m on the run I eat in the city so I don’t have to do the dishes. Then, I prepare for a power nap. In the evening, at around 6-7 pm I do the next training. Between the two trainings, I try to squeeze in shorter sessions of Tabata with the kettlebell. Why ultra running? What appealed to you? I chose the first ultra as a challenge and I happened to win. It happened after a training and a rather uncommon diet. I had just returned from a 30 days trip around Europe by train. Not sleeping nights, eating fast food, I managed to finish first the Ciucas X3 race in 2013. Since then I said to myself that if I take this sport seriously I would have good results for sure and I could compete with the best in the world. Why not? How important is the mental training in comparison with the physical training in a long race? The physical training helps you keep up with the best during the first part of the race. It helps you handle the altitude gain in a fast pace. During the second part of the race, the self-preservation instinct starts to kick in, and it makes you question a lot. For this, you need “training”, immediate answers that will stop you from slowing down, from losing positions and will help you accelerate in the end. What other knowledge should a mountain runner have? I think that knowing your body and how it reacts to effort longer than 3-4-10 hours. Physiology knowledge is important and for long distances, I think the mountain runner should be a good manager. A good pain manager. How do you live an ultramarathon? What happens in your mind during a long run? The start offers me the occasion to be grateful for being there. The first kilometers find me with a smile on my face for the upcoming adventure, then I try to respect the plan I have prepared “at home”, the nutrition plan and the race plan. Usually, during the first part of the race, I make sure I eat everything I had planned and during the second part I run with all my might until the last drop of energy. At the finish, I make sure I have nothing else to give, energy or strategy; that I was smart between start and finish. It is important to believe in yourself. How important is for others to believe in you too? The belief in yourself is something you build with every training, every time you go out running, whether it rains or it snows, with every drop of sweat or the half breathing an intense rhythm brings, with every scream of the muscles caused by the lactic acid. The support of others is as important as your belief in yourself. You want somebody there, at the end of the race, to wait for you, to hug you, to give you an extra reason to hurry up to the finish line. A lot of people have heard about you after your UTMB win. How much work hides behind such a success and when did you start dreaming of a place on the UTMB podium? After winning Ciucas X3 in 2013 I started dreaming on a place on the UTMB podium, among the first 10. I did so gradually by winning the 8th place at CCC in 2015 and in 2018 fate favored me and I finished 2nd. Did you compete in a team? How do you find these races? The team plays a crucial role. It helps you stick to the plan, it supports you. I strongly believe that failure is a part of a success story. Failure is the lesson you need, that tells you that you are not yet ready for the success you would have had by winning. If you are well grounded you can learn from these “failures” that will prove very useful in the future. I strongly wish to win a race at the Ultra Trail World Tour. I will compete this year at 3 ultra marathons: Madeira Ultra Trail, the World Championship, (maybe) Lavaredo, UTMB and a race in the Himalayas. Since we come close to May 25th when the 9th edition of msg Apuseni Marathon takes place, can you tell us what you enjoyed most about this event? Msg Apuseni Marathon takes place during the season when nature starts over when everything is green and the landscapes energize us with their beauty. I enjoyed the diversity of the course, with its difficult climbs but also runnable sections, technical descents and forrest run, the pleasant feel of running on a bed of leaves. Apart from the course, the attention of organizers to details, trying to make this competition a pleasant experience for every runner, from the youngest to the eldest, from beginner to the fastest runner. A piece of advice to all marathoners who want to start ultras and have not registered yet? I would advise people who have ran marathons to go gradually to an ultra. Not to go straight from a 5-6 hours effort to a 20 hours effort. To choose an ultra on an average distance, 70-90 km. In the same time, I would challenge marathoners and ultra-marathoners to try to beat their times on shorter and shorter distances, starting with 800m, 1000m, 3000m, 10.000m. A thought for all 2019 msg Apuseni Marathon runners? If you want to spend a weekend with all the family in an area that encourages running and having a good time, choose to do it in the Apuseni mountains at msg Apuseni Marathon. Robert Hajnal, ultra marathoner and msg Apuseni Marathon ambassador comes at Cluj-Napoca on May 8th 2019 at a meeting with the local community. Access at the meeting is free of charge, but it will be necessary to sign up. Follow us on Facebook / Instagram / Website to stay updated about the event. We look forward to seeing you! 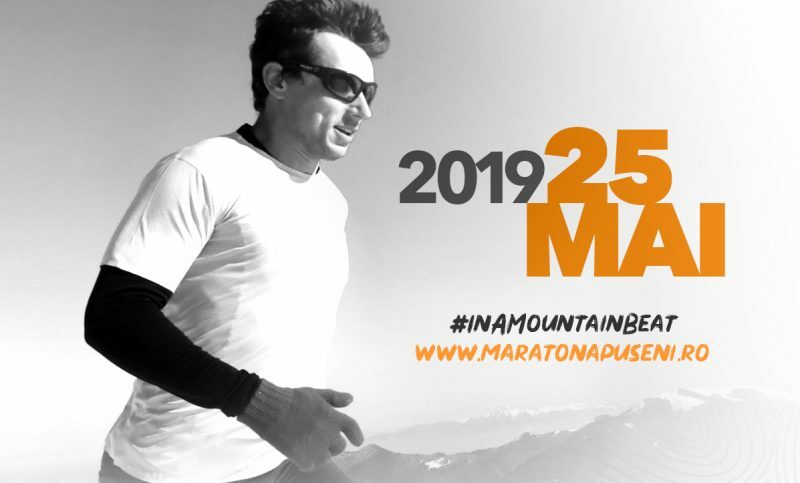 Train and run #inamountainbeat at msg Apuseni Marathon! Registrations are still open.